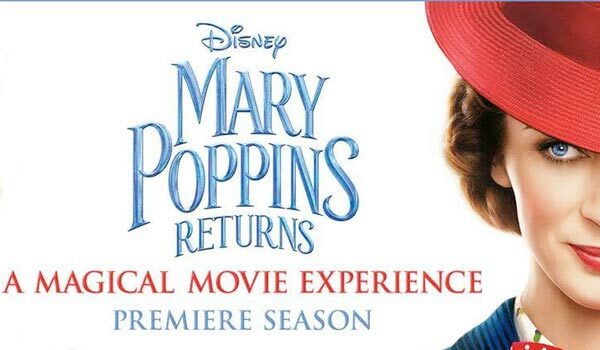 Disney’s Mary Poppins Returns: Premiere Season Preview Screenings – Spotlight Report "The Best Entertainment Website in Oz"
Enjoy a magical movie experience for the whole family with early exclusive screenings of Disney’s Mary Poppins Returns at Sydney’s State Theatre and Melbourne’s Regent Theatre. Tickets on sale this Friday 26th October. 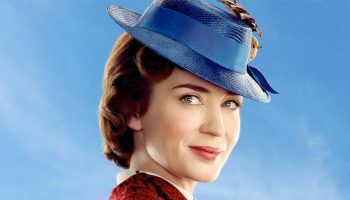 In Disney’s Mary Poppins Returns, an all-new original musical and sequel, Mary Poppins (Emily Blunt) is back to help the next generation of the Banks family find the joy and wonder missing in their lives following a personal loss. The practically-perfect nanny whose unique magical skills can turn any ordinary tasks into a fantastic adventure, enters their lives once again, having not aged a single day. She teams up with an old friend, Jack (Lin-Manuel Miranda), a charming and eternally optimistic lamplighter, and together they take the Banks’ children on a series of whimsical adventures and introduce them to colourful characters like Mary’s eccentric cousin, Topsy (Meryl Streep), bringing life, love and laughter back into their home. This is an exclusive opportunity to enjoy the film before it opens in cinemas nationally on New Year’s Day, 2019. Gala Evening on Tuesday 18th December at 7:00pm. Ticket price includes exclusive pre-show entertainment and a gift bag valued at $50. Gala Evening Thursday 20th December at 7:30pm, ticket price includes exclusive pre-show entertainment and a gift bag valued at $50. Premiere Season continues 26th – 30th December for matinee and evening screenings. Tickets go on sale Friday 26 October at 9am via Ticketmaster.com.au, call 1300 11 10 11 or in person at any Ticketmaster outlet.